Planning ahead in construction is crucial, especially when it comes to selecting the right materials. Choosing the right material can lead to reduced costs while maintaining work quality and output. 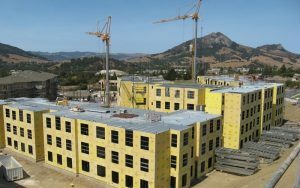 Cold-formed steel (CFS) framing has a proven track record of providing cost-effective and sustainable benefits for low and mid-rise buildings. Unlike wood, steel is dimensionally stable and will not warp, split, crack or creep when exposed to the elements. CFS framing systems offer significant cost benefits over competitive building materials when total costs of construction are considered. Here are five ways CFS framing systems can lower total construction costs.